Apologies to Francis Church, but there are still a wide variety of typewriter supplies available. Although the popularity of typewriters has been steadily declining there is still a wide variety of applications for, and fans of, those writing machines of yesteryear. 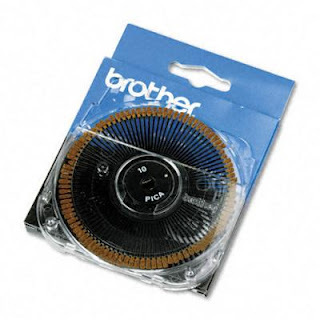 While you are able to buy yourself a brand new typewriter it is much more common to need supplies for your current typewriter. Unlike the modern word processing computers, a typewriter has a much lower rate of failure, so you can still technically use the same typewriter your grandparents used. Of course your grandparent's typewriter doesn't have the same set of features that a modern electric typewriter has, but you are still talking about a typewriter that could theoretically be 30 years old. Do you know anybody using the same computer they had 30 years ago? All typewriters, for better or worse are based on the same general technology. You press a key and an engraved letter presses on a piece of paper. A ribbon between the letter and the paper transfers ink in the shape of letters. In the very early days of typewriters the only thing you needed to worry about was your ribbon, so it was easy to keep a large supply at hand and never have to worry about it. If you ran out, you could go to just about any store and find a replacement. Unfortunately, as typewriters have fallen out of fashion very few stores carry any typewriter ribbons. 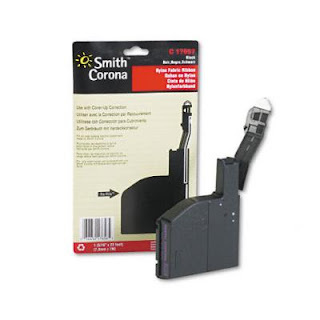 Thanks to the internet you can easily find a wide variety of typewriter ribbons that are probably compatible with the typewriter at your office. As typewriter technology advanced they figured out that they could fairly easily include the technology necessary to help people easily undo a mistyped letter or two. By creating the backspace key the typewriter manufacturers introduced a product that immediately made the current typewriters outdated. Along with the new typewriter a new kind of typewriter ribbon, ink and correction ribbons, was needed so you had to throw out your old typewriter ribbon with your old typewriter. 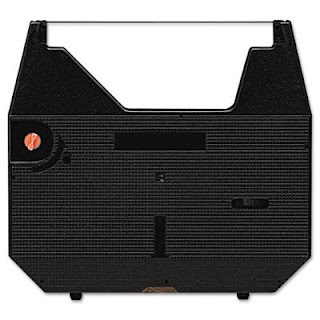 By combining the ink and the correction in one cassette the typewriter manufacturers made it easy for the end users to find the one product that their typewriter needs. The last great advancement of typewriter technology before they became word processors was the creation of Typewriter Printwheels. These handy dandy pieces of equipment allowed you to replace one piece of hardware on your typewriter and change the font it used. The printwheel is such a sadly forgotten piece of technology that the word "printwheel" isn't recognized by spell check. If you aren't the kind of person who would shoot a rubber band at another person or use rubber bands to power a Lego Arsenal (since you are a loving and caring individual) there are still lots of other wonderful non-traditional uses for rubber bands. The first thing that should spring to mind is creating a Rubber Band Ball. While people can get into the Guinness World Records for things like large balls of twine or barbed wire that isn't anything you'd want to keep around the office. Pee-wee Herman was well known for large ball of aluminum foil, but it got to big to keep in his Playhouse. A Rubber Band Ball is a perfect option for those people who like to have a spherical object made from smaller things that is appropriate to keep in the office. Thanks to the magic of modern technology you can even purchase a Rubber Band Ball already constructed. 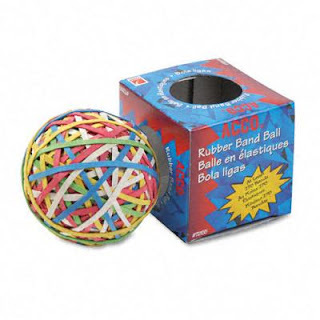 Made from approximately 275 rubber bands, it is advertised as fun way to relieve stress by squeezing or bouncing it, but we'll let your imagination decide what you want to do with it. 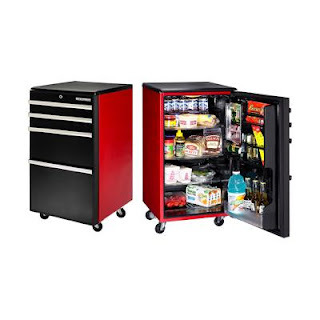 If nothing else it will add a little splash of color to your desk, or the contents of your drawer of pens. If you are shooting for the stars you'll have your work cut out for you as the current World's Largest Rubber Band Ball is a thing to behold. 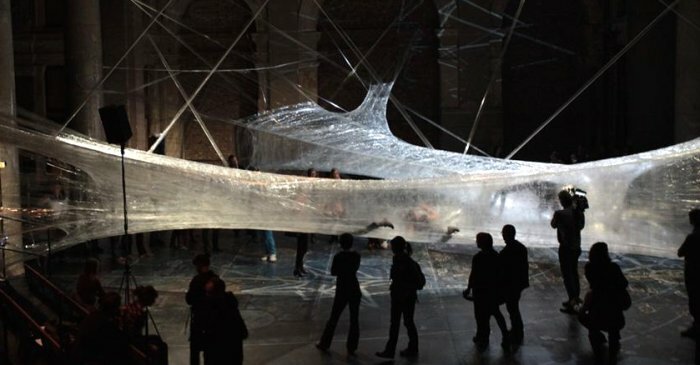 Something like 700,000 rubber bands were used to create that giant ball of rubber bands so you have a ways to go, and unfortunately you'll notice that most of the rubber bands you'll find around the office won't be able to stretch to a 25 foot circumference. 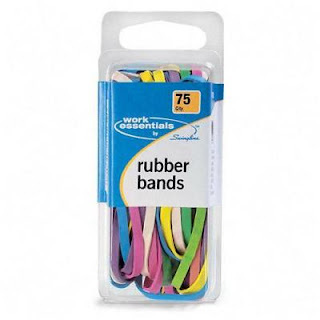 But don't worry, just because we mainly talk Office Supplies doesn't mean we don't can't help you find giant rubber bands. 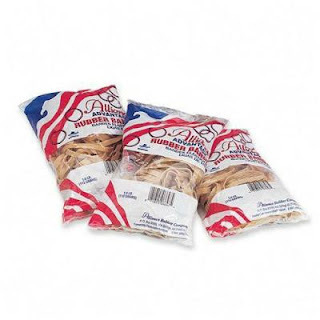 These giant rubber bands are called "Pallet Bands" as they are commonly used to secure large groups of boxes as they are loaded on pallets and moved around warehouses and onto trucks and such. 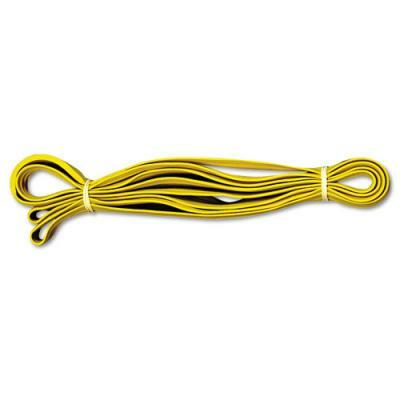 They are available from with a varying circumference so you can get yourself anywhere from a 72" Rubber Band or a 112" Rubber Band and several sizes in between. 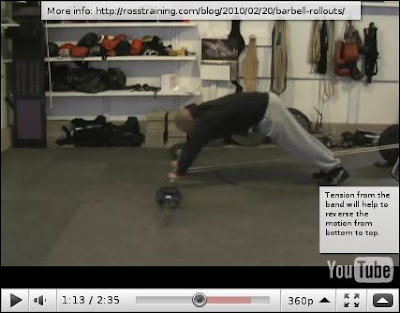 Now those are the measurements of the bands before they are stretched, so you'll have some room to grow. Now if you are the kind of person who likes to shoot Rubber Bands I would advise you to not use one of the extra large pallet bands as ammunition. Nothing good would come from it. Every so often we come across somebody else who finds somebody else that links them to some great artwork created using office supplies. While it is very common to make great pieces of artwork using pencils, pens, or markers it takes a certain different kind of creative spark to create artwork using a wholly different medium. In the case of these two artists they have chosen to create fairly common pieces of art, but made them interesting by choosing a large scale and an odd medium. Today we have a piece from the French artist Baptiste Debombourg called Aggravure with two individual parts "Air Force One" and "Air Force Two". As near as I can tell Aggravure is a completely made-up word by combining the French word for staples (agrafes) with the French word for engraving (gravure) and essentially creating a word that means staple-engraving. You can visit the link above to view the artists page and read their take on the piece, but be warned that the English isn't great. To me it is the classical artistic take on contrast by creating flowing, flying images of humans (a very organic subject with a lot of movement) by tacking staples to a wall (a harsh metallic, immovable medium). The artist claims that 35,000 staples were used in the creation of these pieces, and we have no reason to doubt them. A standard box of staples has 5,000 staples so you wouldn't even need to buy them in bulk, and at the end of the day, it is probably even cheaper than the cost to paint them. If you wanted to really one up the Aggravure piece and create your own Staple encrusted Sistine Chapel you can save money buy buying in bulk. 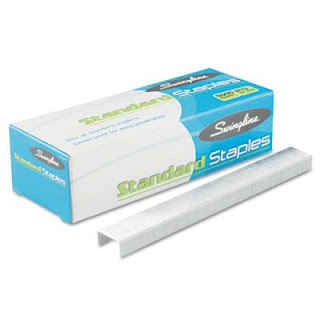 If you buy 200 or more boxes of staples you can get a bulk discount and really show everybody that you not only know how to create massive art, but you know how to save money. 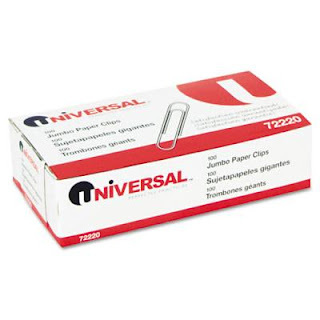 Assuming that you do want to purchase 200 Boxes of staples and get the bulk discount, that's 3,500 staples in each box so you'll have 700,000 staples. So if you use all those staples you will be guaranteed that your unique foray into the world of art will automatically be 20 times better than the Aggravure. Today, June 10th, is unofficially recognized as Ballpoint Pen Day. It was on this day in 1943 that the Biro brothers first patented the real ballpoint pen. If you've been a long time reader of Office Supplies Talk then you'll know that I'm not a fan of the conventional ball point pen. However I do recognize that it has it's own unique uses and flair. Any time anybody talks about the history of the ballpoint pen they inevitably point to that fateful day in 1945 when they were first sold on American soil. A department store in New York, Gimbels, sold their entire stock of 10,000 ballpoint pens in one day for $12.50 each (that is $1495.45 adjusted for inflation). To put that in context, Apple was able to sell only 300,000 iPads on the day they were first released, at a lower price point (adjusted for inflation) and with 222 different retail locations (not just 1 in New York). So in recognition of the ballpoint pen go ahead and put aside your felt-tipped pens and fountain pens for the day and take a moment to appreciate where we have come from. 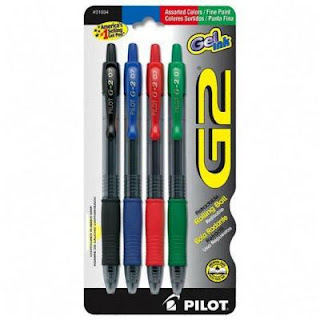 I know I get down on those ballpoint pens from time to time, but I am a real fan of the Pilot G2 pens. Technically they are "rolling ball" pens and not ballpoint pens, but there is really no difference. 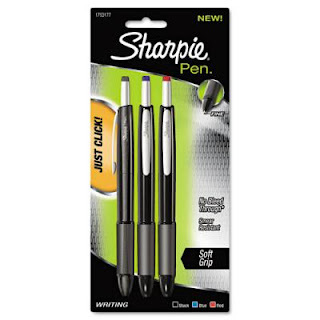 A smooth writing pen with the heavier gel ink. The Pilot G2 is a little on the light weight side, but the grip is fairly comfortable. Also, the G2s are made so replacing the ink with a new refill is completly painless. There are a slew of other products in the Pilot Gel Ink family but I do prefer the classic G2. 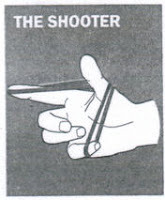 Sadly, another vital office supply was also patented on June 10th, but nobody takes any notice and I certainly haven't heard about it having a day declared for it. 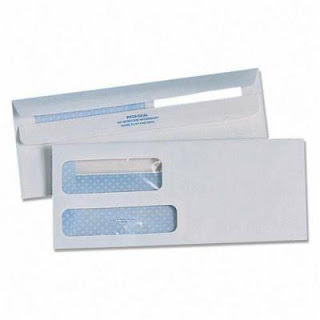 Unfortunately, the transparent envelope window lobby is not as far reaching as those in the pen industry. On this day in 1902 an envelope with windows was patented. James was talking about paper clips yesterday and got me thinking about all the other fancy styles of clips out there. There are many more clips out there than your standard gem clip. Yeah, apparently they're officially called gem clips. I'm on board with joining the French and calling them trombones. They may be metal and a must for every Apple user or amateur lock-picker, but elevating them to gem status is a bit much. Granted, none of these other clips have as many alternate functions as the trombone. They can't measure your carpet to determine which chairmat you need. They certainly can't be bartered for a house. Then again, they also won't insist on helping you with your Microsoft Office documents. They can, however, do a better job of keeping your papers together, especially when you have a larger stack that even the "Trombones Geants" can't handle. The best part about these clips are the names. No more musical instruments, but rather a full menagerie of aptly-named paper fastening goodness- butterflies, bulldogs and owls. First is the butterfly- light, graceful and designed to land on documents without leaving marks. It holds a little more than the trombone, but otherwise serves the same purpose. Here's the bulldog. It bites down on papers and doesn't let go. Great for large stacks up to an inch as it fits a lot into its jowls. The owl clip is apparently nocturnal as it's not seen nearly as often as the others. It is similar in function to the trombone and butterfly, but with a smaller presence than the butterfly without scratching papers the way the trombone's business end can. 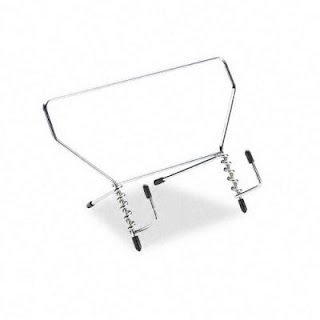 There is also the binder clip, which adds a pair of latching handles to the bulldog clip but lacks a clever name. I'm thinking venus fly trap, but open to suggestions. While you're coming up with names for that, this clip for panel walls desperately needs a cool name. Not sure whether to go with a bird of prey or some sort of spaceship. The other day I was digging around in my desk drawer for a pen, and I had to push aside a few boxes of paper clips to get to the back. I briefly glanced at bilingual labeling on a box of Jumbo Paper Clips and chuckled to myself after reading "Trombones Geants." It brought to mind a marching band of giants all playing giant brass instruments. I put it out of my mind and got back to work. I didn't think anything of it until a few weeks later when I noticed that most of our paper clips were labeled as "Trombones". It turns out that the French call paper clips trombones, and when you consider the shape of the typical wire paper clip it is an apt name. 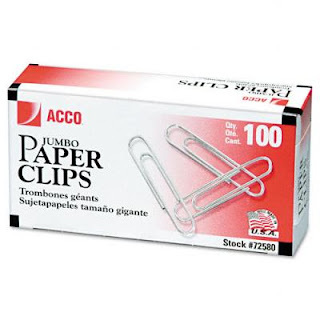 Sadly, the Spanish translation for paper clip, sujetapapeles, is more literal and a lot less interesting. The Wikipedia article on paper clips is long and boring. I didn't waste a lot of time reading the details, but here is a good generalization for you. Nobody quite knows who made the first paper clip or what it looked like because nobody ever bothered to draw it. A lot of people have come up with odd stories involving paper clips and most of them aren't true. Probably the most interesting part of that Wikipedia article is the current defacement "i like bologna and cheese." If you've ever worked on Apple products of almost any vintage you no doubt have or had a straightened paper clip in your tool arsenal. It was neccessary to remove any stuck disk for a number of years and they even distributed paper clips as an official tool to remove the SIM card from your iPhone at one point. Even more recently Lindsey Lohan made the news due to some complications with her alcohol detecting leg shackle. Some gossip magazines say that she once attempted to remove it using a paper clip. She of course denied anything like that happening. Maybe she was just trying to swap the SIM card in her iPhone while holding it near her ankle. It isn't my place to say. Well there shouldn't be anything stopping you from buying an excess of paper clips and doing whatever you want with them. 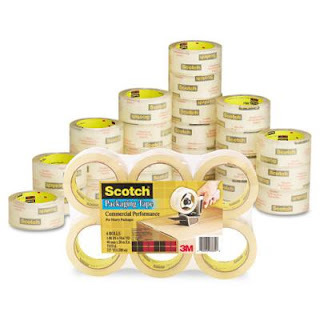 Use them to hold papers together or straighten them and use them to fidget around with electronics. If you're extremely outgoing why not try to fold them into the old jumping paper clip toy. I was shocked when I first read it. A paper with a guarantee that every sheet will be 99.99% Jam Free. I'm not a lawyer so I don't know exactly what that means, but it sounds awesome to me. I know I've spent more than my fair share of time spent at a copier or printer trying to remove one jammed piece of paper that got crunched in between a two rollers. Trying to remove paper from a printer is never fun. Between the heated parts on some printers, sharp edges on other, and the possibility for ink and toner to easily escape while you are digging around in side it's an accident waiting to happen. Last year my wife was trying to deal with a paper jam and she managed to seriously tear up her thumb (that was not a fun trip to the hospital). I would prefer if everybody everywhere could have one less trip to the emergency room so I'm here to tell you that you should spend some extra money on paper that's a little better and save yourself time and hassle. Hammermill (a subsidiary of International Paper) guarantees that all the paper in each ream in each box is 99.99% Jam Free. 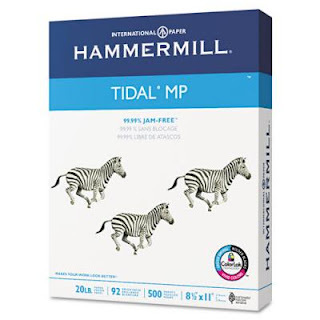 Hammermill's Tidal MP line of paper is their Multipurpose paper so it is ideal for copiers, printers, fax machines, and those all-in-one units as well. Who can argue with paper with Zebras on the packaging? If you haven't bought a case of paper online previously you should really give it a try. You don't have to remember to lift at the knees or get a ladder to try and get the box down from one of those big-box office supply stores. The friendly UPS man will drop off the box at your front step. All you have to do is drag it inside.